Cold exposure is the name of the game, and I’m about to tell you why you’ll never be the same. I’ve been consuming every resource I can find on Wim Hof and his secrets of cold exposure. In fact, I have had success with his practice in just a month’s time. I have heard of Wim Hof before, but learning how to embrace the cold never appealed to me until now. First, a quick introduction to Wim Hof. On the Wikipedia entry you can see that Wim has many feats related to cold exposure – the most notable includes staying fully immersed in ice for 1 hour and 52 minutes! He said it was a brrrrreeze. Without a shadow of a doubt, it’s clear that Wim is onto something with his breathing method and cold exposure. Let me start off by saying that I HATE the cold. I dread that time of year when summer ends and the land transforms into a dark, cold tundra. Where every morning demands a sweater, and your breath freezes the moment it leaves your mouth. You have to wake up early to get a head start on defrosting your damn car. Yep, I don’t like that at all. I’d rather be baking under the sun glistening with sweat, than under the sheets of my bed shivering. Dreading the very moment that I have to leave its warm embrace to face the cold enemy that is the winter. You see, life has a crazy way of presenting you with information you need, just when you need it. All you have to do is pay attention, and then apply. So that’s what I’m doing. 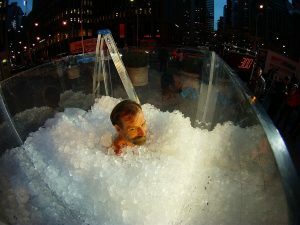 I was browsing the internet and ran across a podcast with Wim Hof. I remembered that he was the “Ice Man” and because all of my friends and family have been talking about how cold this winter was going to be, I decided to take heed and investigate what Wim had to offer. So I went in deep. I listened to every interview with Wim I could find, I watched the Vice Documentary, I downloaded Wim’s Inner Fire app, and most importantly – I did the breathing practice EVERYDAY. I exposed myself to cold EVERYDAY. This winter, I am not letting the cold conquer me – I will conquer the cold! When I started this routine, it was transitioning from warm to cold weather. I bought a cheap thermometer, and my plan was to sit in my pool everyday and acclimate with the weather as the temperature dropped. 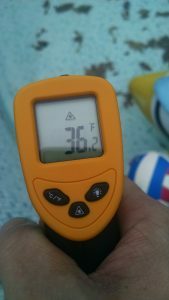 Note – I now have this Infrared Thermometer to give me faster, more accurate reads! Mother nature is my trainer, and she keeps me strong with progressive cold exposure. The starting temperature was 66 °F and man did that feel cold. Now, 3 weeks later, I am entering 42 °F water and it feels the same to my body as the 66 °F water once had. No kidding. Due to the breathing method, I don’t even shiver. I get goosebumps, and it definitely feels cold, but I don’t shiver and I have a controlled, rhythmic breathing pattern. 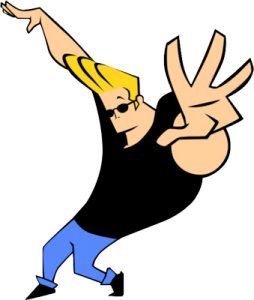 By the way, my wife now likes to tell me that I look like Johnny Bravo. In her words “yeah, you have small legs, a big upper body, and funny-looking hair!” Thanks Foxy Mama, I’ll take that as a compliment – Hoohah! Let’s talk about this breathing method and what happens when you begin using cold exposure. Alkalize the blood’s PH – Also, as I mentioned HERE, chronic alkalosis can increase PGC-1α which leads to more mitochondria. Click here to find out how to do the breathing method. “A quick search on YouTube“yields tons of instructional videos if you want to see it in action. As I mentioned in “Mitochondrial Biogenesis : Fix your ATP, Fix your Life,” cold increases PGC-1α. If you haven’t read that article I suggest you do, as well as my introduction article to mitochondria. Basically, cold exposure can increase PGC-1α, which creates MORE mitochondria, which means more ENERGY. I don’t have anything new to add about the benefits of cold exposure, so I highly encourage you guys to read this free-report that the amazing Dr. Rhonda Patrick is sharing. You can download her free PDF by clicking this link HERE. Increased Norepinephrine – Boosts focus and attention, used to treat ADHD. More Dopamine – Neurotransmitter associated with drive and motivation. Increased Cold Shock Protein (CSP) RNA Binding Motif 3 (RBM3) – This protein is associated with muscle sparing, and longevity. Enhanced cardiovascular function – The growth of new blood vessels through induction of vascular endothelial growth factor (Vegf). This means better oxygen delivery and heat exchange(S). Again, you really should take a minute to head on over and read Dr. Rhonda Patrick’s report. It’s worth the read. The link is HERE. She also has studies supporting all of these claims! Wim states that this combination raises serotonin levels. This could be true if your serotonin production is being hindered by inflammation. The breathing primes the body for the stressor, while the cold provides the perfect stressor. Wim says that the cold is the test to see how well you are performing your breathing. I have found that both the breathing method and cold exposure produce profound results. The breathing makes you feel energetic, clear-headed, and peaceful. The cold exposure makes you feel focused, strong, and determined. This type of practice trains your will-power and allows you to crush through obstacles without opposition. The more voluntary suffering you build into your life, the less involuntary suffering will affect your life. I’ve read testimonies claiming that the Wim Hof method cured their depression. I can’t help but wonder if it was because of the physiological benefits of the two methods, or was it that they introduced voluntary suffering, which made all of their other problems seem insignificant. In the end it doesn’t matter, results matter. You will reap the benefits of committing to the breathing method and progressive cold exposure, just as I and countless others have. All of our modern day commodities have made us sick, weak, and frail. It’s time to make yourself uncomfortable, and thrive because of it! Lucky for you, I have some tips on how to increase your comfort with the cold. Man… sometimes I feel like all I talk about anymore is brown fat. So let’s get to the meat of it. 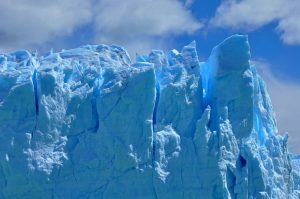 Cold Exposure – You should have seen this one coming(S)! Fish Oil – Fish oil lowers levels of White Fat and aids in the heat-producing brown fat by inducing UCP1 expression. UCP1 is how the mitochondria in brown fat are able to produce non-shivering thermogenesis(S). This means you stay warm without shivering to create the internal warmth. Wild Fish Oil is a good place to start. That or sardines. Choose your weapon. Curcumin – Good ol’ curcumin, our bright orange friend. Curcumin has two functions in fat cells: first, it destroys White Adipose Tissue by initiating apoptosis. Second, it increases the expression of Brown Adipose Tissue(S)! NOW CurcuBrain is a top-notch curcumin product. Orexin/Hypocretin – Orexin is known as the wakefulness neuropeptide and is capable of increasing brown fat. It directly increases brown fat precursor differentiation(S,S). You can raise orexin activity through lactate(think fermented foods and intense exercise)(S,S), caffeine(S), and intranasal orexin (S). Exercise Training – Irisin is a hormone that increases in circulation after exercise(S). Irisin is responsible for creating new brown fat cells and also converting white fat cells into the favorable brown type(S). This should be even more motivation to exercise! Get movin’ people! Phenylpiracetam – Phenylpiracetam is a russian nootropic (aka smart-drug) that is reported to increase physical performance and increase cold resistance(S,S). It is for these reasons that it is banned by the world anti-doping agency (WADA). So it must be good, right? Personally, it never did much for me. I’m just listing it for informational purposes. Niacin – I wasn’t able to find any studies suggesting that niacin increases brown fat, but I do know that when you take enough niacin to get the “niacin flush” you feel like your body is on fire. Part of my cold exposure routine involved a) 500 mg niacin, b) hitting the sauna and doing the breathing exercise, and c) cold exposure -which in my case was the pool outside. Going from extreme warm to extreme cold is not recommended for those with heart or cardiovascular conditions. Also, don’t do cold exposure after a weight training workout. The anti-inflammatory effects of the cold will negate the benefits of the positive inflammation that you create when exercising. The stress from exercise is what signals for your body to adapt and grow stronger. Cold exposure too soon after exercise will blunt this response and reduce your gains. Utilize these and you’ll find that cold exposure isn’t so bad after all. In fact, you might start to like it. Remember to start slow, much like you would in weight training. Except in this case, the weights are in Fahrenheit instead of pounds. Please don’t harm yourself by jumping into 30 degree water immediately after reading this. Be smart, listen to your body, and progressively decrease the temperature. A thermometer is priceless. 60 °F is a good place to start. Again, PROGRESSIVE cold exposure is key. Wim Hof offers a 10-week video course and workshops if you are interested. I haven’t purchased either yet, but they are on my list. Even though it really seems like I’m trying to sell you on Wim Hof, I am not an affiliate – nor do I think they even offer that. 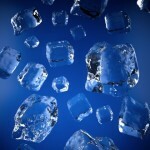 I am talking about him so much because he is THE ICEMAN. He is the authority on cold, and has successfully trained countless individuals to withstand the cold. On top of that, he is an entertaining and good-spirited guy. I’d love to train with him in person one day. *Cough* Wim, let’s chill. PS – I began writing this article in December 2016, but didn’t finish it until now. I don’t get much cold exposure these days because it is so dang hot. I do, however, still perform the breathing routine daily. Until next time, keep your cool. PPS – Stay tuned for an exciting article on the life-changing “bone broth,” coming soon! Powerful Pre-Workout Drink, Outperform the Rest. A powerful pre-workout drink… what could it be? Hey guys, today I am going to share the top-secret, powerful pre-workout drink that I have been fueling my body with for the past two months. I was searching for something that could keep me anabolic, not make me feel stuffed and sluggish, yet still have energy to barrel through any obstacles. I couldn’t find it, so I had to make it. Let’s get down to business, shall we? Behold: the ultimate, powerful pre-workout drink formula! It may appear to be a random assortment of ingredients, but trust me: they were chosen for their power and efficacy. 1. 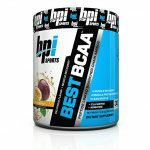 BCAA Powder – I started with BPI BCAA, but later switched to Bulk Supps BCAA powder to save money. Why BCAA’s? Bcaa’s are essential amino acids, meaning they have to be obtained through the diet (or supplementation). One of the best things about Bcaa’s is that they activate the mTOR pathway, specifically through leucine. This activation of the mTOR pathway is what gives us the anabolic, muscle-building state that we want. It increases protein synthesis (S). Increased protein synthesis means faster recovery times after workouts, helping you get back into the gym to kill it again. Bcaa’s also improve glucose utilization, gut function, and the immune system(S)! 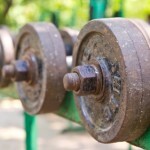 May help reduce muscle soreness from exercise(S). In mice, they are shown to activate mitochondrial biogenesis through PGC-1α. You can find out why that is significant by reading This Article and This Other Article as well(S). Play a key role in making glutamate and GABA neurotransmitters (S). Also I should note that according to this study, the use of intranasal insulin (yes, insulin sprayed up your nose)- which is fascinating and you can learn about HERE – reduces circulating BCAA’s in the blood. This is a good thing, because elevated BCAA levels in the blood is linked to obesity(S). So this study seems to suggest that intranasal insulin could potentially make your BCAA’s more effective…Synergy, my friends. BCAA’s are the foundation to the powerful pre-workout drink. 2. 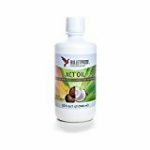 XCT Oil – I use Bulletproof XCT Oil as my source of MCT’s. I have not yet experimented with other brands. If you know of a comparable product, please share with me in the comment section below! This specific product contains caprylic(c8) and capric (c10) MCTs(medium chain triglycerides). These are converted into ketones in the liver where they are either used for energy or excreted through the breath or urine. They are not stored in the body. Ketones also prevent muscle wasting and give your cells a clean source of super fuel(S). You can benefit from the power of this MCT oil even if you are a chronic carb consumer. Remember, it’s not ecstasy – it’s XCT. 3. High Quality Fish Oil – I started with OmegAvail Fish Oil, but am currently trialing the cheaper Wild Fish Oil brand. The former tastes better, but the Wild Fish isn’t bad either. Everyone and their grandma has heard about the benefits of fish oil…but for the purposes of this stack, it also increases protein synthesis -possibly through the mTOR pathway(S). Fish oil users report reduced soreness after exercise (S). Fish oil increases brown adipose tissue which leads to a higher metabolism and a leaner bod(S). Scroll down to “5) Cold Exposure” to learn more about the benefits of increasing brown fat. So now we have healthy fats and amino acids in our powerful pre-workout drink. Let’s keep going. 4. 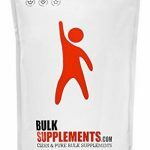 Beta-Alanine – I stuck with the Bulk Supps Beta-Alanine for this one. 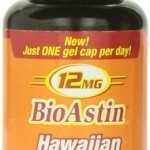 This one is a supplement I’ve always heard great things about, but never tried. I guess it wasn’t “exotic” enough for me. But I’m glad I finally took the plunge. Beta-alanine raises muscular stores of carnosine, which helps to buffer hydrogen (H+) ions that accumulate during a tough workout. 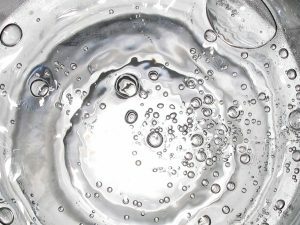 This rise in hydrogen changes the cellular pH, ultimately resulting in decreased performance. Beta-alanine balances this equation, allowing you to push past your limits. In a variety of studies, the beta-alanine groups saw an increase in lean mass gain while the control groups did not. I do a sprint workout once every week, so I am very familiar with lactic acid and those pesky hydrogen ions decreasing my performance. Since I’ve started taking beta-alanine, the lactic acid no longer slows me down midway through my workout. Now the fatigue starts to set in on my 5th and 6th sprint, opposed to my 3rd and 4th. You can read about my exact sprint workout routine HERE. 5. 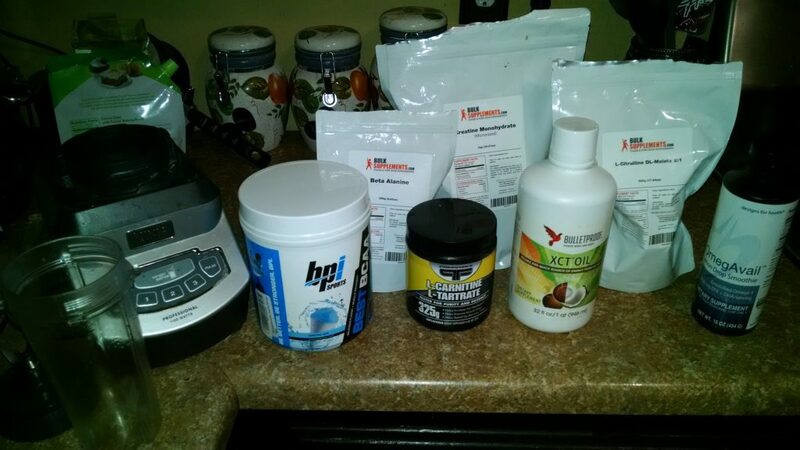 Creatine – Again, the Bulk Supps Creatine has my dollar. Creatine is one of the few supplements that has proven to be effective, time and time again. Creatine also acts as a pH buffer and increases a cell’s ability to resynthesize ATP from ADP during energetically demanding times(S). In the short term you can expect increased power output and strength. With sustained supplementation you will see increased muscle creatine levels, lean body mass, power and strength, sprint performance, and muscle diameter(S). In this study, the combination of creatine with beta-alanine was shown to significantly improve lean body mass and fat composition more than either supplement on its own…Synergy, my friends. 6. L-Citrulline – You guessed it, Bulk Supps L-Citrulline DL-Malate. This was another new supplement for me. 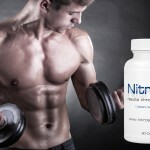 I’ve mentioned it before in 7 Ways to Boost Nitric Oxide Naturally, but I haven’t tried it until now. Citrulline was chosen over arginine because it is better absorbed and able to raise arginine levels higher than taking arginine itself(S)! Basically, more nitric oxide means greater vascularity and blood flow. This helps deliver more nutrients to the muscle and hasten the removal of waste products. This study suggests that increasing arginine levels also raises the muscle building Growth Hormone and IGF-1 after weight training! After taking this, I have experienced some skin-stretching pumps that would even make Arnold Schwarzenegger envious! 7. 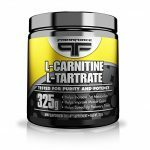 L-Carnitine L-Tartrate – I switched it up on you! I went with PrimaForce L-Carnitine L-Tartrate for this one. The reason I chose PrimaForce over Bulk Supps, was because I read a lot of reviews saying that bulk supp’s LCLT had a fishy taste to it. It might not have one. I’ll never know, but that’s why I didn’t try it. Carnitine’s basic function is transporting fats into the mitochondria(S). For this reason, it is often touted as a fat burner. However, I personally take it because of its effect on androgen receptors! L-Carnitine L-Tartrate (LCLT) is shown to increase androgen receptor density without exercise and have an even greater effect when combined with resistance training(S)(S). You could have all the testosterone in the world, but what good would it do if you didn’t have any androgen receptors for it to latch onto? Not much(S). Together these ingredients form the perfect, anabolic, and powerful pre-workout drink that allows me to blast through my workouts. The best thing about these ingredients is that they are actually supported by research and they work. I’ve experienced noticeable lean mass gains and big strength gains since I’ve started taking this powerful pre-workout drink. I think you will too. Here’s what I do: During the first month I drank the above mix twice a day. Once in the morning, and once before my workout. I mix it with flavored water. Unless your taste buds are non-existent, then I suggest you do the same. This Flavored Stevia works perfectly, but feel free to try whatever. Once you start feeling your skin tingle, that’s when you know you are ready to crush your workout. It is a harmless side-effect of the beta-alanine. You learn to like it. If not, you can dose beta-alanine in smaller amounts throughout the day to avoid this. After this first month, you can reduce your dose of creatine and beta-alanine by half. It may seem like a lot, but you are getting so much more of these powerful ingredients by buying them in bulk than if you were to spend $30 on something like Cellucor C4. Alternatively, you could drop the dosage to 1 time a day to cut the cost to $26/month and even further if you only took it pre-workout -3 times a week for $10/month. As you can see, with our blend you get 3 times as much beta-alanine, 5-10 times as much creatine, and 6-8 times as much nitric oxide boosting power from l-citrulline. I recommend trying this whole stack the way I described so you can truly experience its raw power. After a month, feel free to lower the dosages so you can save some extra money without sacrificing too much power. If you want to take this stack to the next level, then you do have a couple of options. Caffeine pills – An obvious choice, and a staple to most pre-workouts you find on the market. Another option is to buy a blend that has l-theanine included. Smarter Vitamins: Focus combines caffeine with l-theanine in the recommended 1:2 ratio along with bioperine and grapefruit seed to make it more bioactive. L-theanine is good for boosting alpha-brain waves and smoothing out the effects of caffeine, especially for those who get jittery after taking caffeine. Teacrine(Theacrine) – This is a relatively new caffeine alternative. It is structurally similar to caffeine and has comparable effects. The amazing thing about theacrine is that it doesn’t cause any tolerance formation – even after 7 days of use(S). These additions are not required. To give you an example: during my first month on this stack I had 4 DJ gigs every week, on top of working my normal morning job. I was tired, and not sleeping near enough. Despite the complete lack of motivation to workout, I did it anyways. I did it out of necessity. I was dead tired every time I hit the gym. However, as soon as I started lifting – I had all the power I needed. The motivation came rushing to me, and I crushed each workout. What a good feeling. I came to the gym dreading it, but left loving it every single time. The morale of the story is that you don’t need stimulants to get something done, you just need to do it. Let me know how this powerful pre-workout drink works for you, I would love to hear your results! What’s new with me? Well I’ve been really into FERMENTING recently. Fermenting all sorts of veggies: salsa, cabbage, ginger, and now lemons. Fermenting is the future! I am reading Sacred Herbal Healing Beers, and I look forward to making some healthy beer that doesn’t use feminizing hops. It is basically people that let meat decay and then eat it weeks to months later, claiming that it gives them a euphoric high. Imagine blending that in with the powerful pre-workout drink! Ha. Is our society’s serious sanitation strategies secretly sending us to our demise? Are the powers that be shaming the symbiotic relationship we share with bacteria to keep us from thriving? That’s a discussion for another time. Meanwhile, stay strong and healthy my friends. Live every moment to the fullest. Don’t wait until tomorrow to do what you can do today. Hopefully you learned something new and useful that you can incorporate into your life. What’s in your powerful pre-workout drink? For others, Ketosis is a life giving fuel that can rapidly transform your body and change your life forever. Make the switch to ketosis. My friend Cathexis is very passionate about ketosis and has had great success with it. He is the one that introduced me to it and I am forever grateful for that! Alright buddy, they are all yours! First things first, let me introduce myself; my name is “Cathexis” and I am 34 years old. The past 10 years has been a journey that I could have never imagined in my younger days. I’ll try to make this brief, but this information is pertinent to my credentials. It will also give you an understanding of why I so fervently went searching for all these new understandings. When I was 23 years old I was in a car accident. I was going about 85 mph down a highway in Jacksonville, Fl, and there was a maintenance vehicle driving in front of me about 3-4 car lengths ahead. A ladder fell off of the top and was bouncing its way towards my windshield. I over reacted and lost control of my vehicle and went into the guardrail at a 45 degree angle head on and worst of all; without a seat belt. I was thrown into the passenger side door with such force that it ripped my scapula off my back, broke my nose, shattered my glasses, and forced 3 of my ribs out of place. The shock and adrenaline made it so that I didn’t feel anything. I was unconscious till the police arrived and when I came to I was running around like a mad man trying to make sure my new car was okay. It was not; and neither was I. The doctors said there wasn’t much they could explicitly do for me because the types of surgeries needed to resolve the rib and scapula issues are extremely rare with low success rates, but my physical therapists and doctors at that facility assured me that it was possible for me to fix it naturally with the correct therapies. They were partially right and my pain issues were not heavy at first. I was also younger and more resilient, but as time went on and further injuries happened through working and living, things got progressively worse. I ended up having a specific injury when I was trying to lift a large 50lb bucket with my right arm where I tore my labrum and ripped a tendon, along with agitating my floating ribs. This was around 2008 and I was living in Florida. During this time the doctors in the area were notoriously over prescribing pain killers and benzos and I fell victim to those offerings. I was able to stay away from narcotics for about 5 years before this secondary injury and I’m happy for that. Unfortunately this injury led me to go on hydrocodone and somas (a muscle relaxer) at first to numb the constant pain. I then got the run around from the doctors about how to ‘fix’ my issue; their answer was always ‘just use the pain killers till we figure something out.’ Then they would just send me to get an MRI, send me to another doctor to read that, send me to back to the first one to then go over a therapy etc etc. I wasn’t able to get any actual help from them. They guided me down the path from hydrocodone, to oxycodone and then 3 years later to methadone for long term pain management and eventual ‘maintenance’ (the system’s way of weaning someone off pain killers that includes putting someone on the most addictive type of opiate). During this time, while eating the Standard American Diet (SAD) of high carb, low fat; I ended up gaining 120lbs. I was originally 160lbs most of my life, but through the process of going on pain killers for so long and eating this particular diet and not being able to move much, I was up to 280lbs in no time. Also my doctor said my triglycerides were up to 300+ and I was in heart attack range. I had terrible acid reflux daily as well as 2 previous issues with ulcers. I felt like death day in and day out. This was my life at 32 years old: broken, dependent on pain medicine to function, and everything around me was falling apart. I knew that I had to get off the pain medicine and I tried numerous times to either wean off of them or go cold turkey. The pain and agony you go through with pain killer withdrawal when you have a baseline pain issue is something that I wouldn’t even wish on all my worst enemies collectively. Your body becomes a torture mechanism and you are utterly trapped in it. During this downward spiral I gained the 120lbs, I lost someone I cared about immensely after being with her for 6 years, I was living at my parent’s house out of necessity, and I lost my long standing, good paying job. I was trapped, and trapped in a way that was so overwhelming that there just didn’t seem like there was a way out, ever. In comes my younger brother, Jacob. He was a big guy all of his life and he had been doing a ton of research into the endocrine system and how weight loss actually works. 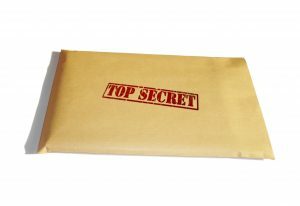 New studies were found left and right and authors like Gary Taubes, Mark Sisson, Dave Asprey, Kristin Loberg, David Perlmutter, and scientists like Robert Lustig were going against the grain (pun intended) of the medical INDUSTRY to point out flawed old science that was being used regularly and was making America and the world VERY sick. Going down this rabbit hole of studying the human body and the endocrine system was the beginning of a whole new life, it just required putting in the work to understand the science and implementing it effectively. During my studies I found that not only could you effortlessly change one’s weight but you can fix a LOT of issues that are commonplace now a days. My brother left his career in the airline industry to come down and take me out of the situation I was in. A family member agreed to let us house sit her house in south Florida while she was away and I was going there with a mission to change my life. After about a week of discussing our new understandings of the body we both decided to implement this new way of eating as drastically as possible. Paradigm – a worldview underlying the theories and methodology of a particular scientific subject. We’ve been told that weight loss is about eating less calories than you expend and that fitness equals weight loss. These axioms are not only incorrect and old science but they are harmful. Weight loss is 100% HORMONAL and this is something that is not discussed in the current mainstream. Insulin, Leptin, Ghrelin, and Glucagon are the main actors on the stage of how your body either stores or consumes fat. We all know of insulin and we hear about it commonly but to be sure, it needs to be said what its function is; when you eat any carbohydrate, it is converted to glucose in the liver and insulin is produced in the pancreas in order to mitigate sugar in the blood. At the bare bones of it; Carbohydrates are SUGAR; they end up as Glucose, all of them. Bread, pasta, grains, rice, sugar, lactose, fructose, soy, potatoes and several starchy vegetables like carrots, are all carbohydrates. The body converts that material into Glucose and uses it as energy immediately. Your pancreas then produces insulin to remove the deadly sugar from your blood and during this whole process these hormones are triggering your body to STORE all the fat you’ve consumed in the past 12 (or so) hours (S). I know that these issues can start to get heavy so let me simplify it: Insulin is the hormonal trigger to store fat and Leptin is the hormonal trigger to eat from your fat stores (S). Insulin is a result of carbohydrate and sugar consumption. When you suppress insulin, by eating less than 20 grams of carbs a day, your body creates leptin which signals to your body to eat from its fat stores (LOSE WEIGHT) while regulating hunger as an opposition to ghrelin (S). During this process of suppressing insulin you go from using Glucose as your primary fuel to using what’s called ‘Ketones’ as a fuel. Ketones are created in the liver as an alternative fuel and are synthesized from the fat that you eat and the fat in your body; but they are only created during the right circumstances and that is when your carb intake is lower than 20g a day (S). When I was younger I was told that your body can eat fat from its fat stores but no one ever told me HOW. Well, this is how. I tried to grasp all of this when I was much younger, but I realized there was so much more I needed to understand about the endocrine system for me to really get it. It was overwhelming, so I didn’t pursue the knowledge. But honestly, I just didn’t know where to start. The internet has changed everything. Many people have now synthesized this information which allowed me to be where I am today by just starting. If you care about yourself and you want to have a healthy and productive life, then you need to take these things very seriously. The quicker the better. I honestly wish I delved into all this at that young age, it really isn’t as difficult as people may think. This information is far from difficult when explained right and that is what my goal is here. These are the mechanisms of weight loss that are hidden from us through jargon and authority either intentionally or not (that’s another topic in itself and I’ll save that for another day). When I chose to go down the path listening to what mainstream science and media was telling me about weight loss the end result was 280lbs with a slew of health problems and I was more confused than ever…Just by eating (mostly) the standard recommended daily allotment of carbohydrates for years. This is the mantra of the mainstream and it’s the only currently accepted way that fat loss occurs and is the ‘ideal’ diet for a healthy life (as they say). It is completely wrong, completely backwards, and it is causing untold damage. These ideas are based off of one scientist from the 70’s named Ancel Keys and he single-handedly made this country obese, diabetic, and filled with cancer; not to mention the early onset dementia and Alzheimer’s (S). It’s dramatic what can happen to people who are given a diet based on broken science. So much misinformation exists in this culture and diet is usually treated so personally, almost like a religion. It’s hard to get the right information out to people because no one trusts anyone anymore. Either everyone is trying to sell you something, or they are confused about how the body works themselves but proclaim to know the answers. I’m here to tell you how this works and to simplify it in a way so you can make these drastic changes in your life. But it requires a paradigm shift. A new way of thinking about food. When my brother and I went down to south Florida, we engaged this diet in the most direct and disciplined way that we’ve ever engaged anything and the results were astounding. I lost 45 pounds (15 of that in water weight) in the first month and I was able to get away from the painkillers for the first time ever. The withdrawals and discomfort were still very difficult but the diet raised my constitution in a way that allowed me to finally step away from 3 years of constant opiate usage. Because of the withered state I was in, a very large part of my muscles were atrophied. It was during this time that I was seeing a doctor and doing my own version of physical therapy as well. My version included pushups, pull-ups, and riding a bike about 2 miles every day or so. The fitness that I was engaging in was to rebuild my muscles and to improve my circulatory and respiratory system. I do not attribute much of my weight loss to the exercise because the higher levels of fitness came several months after starting the diet. After 3 months of the diet I had lost 75 lbs and fully recovered from a 3 year pain killer dependency. Yes this took discipline, but I attribute most of my success to understanding the diet and implementing it the way that I did. Switching your fuel source to ketones completely changes the game. This is the EXACT opposite of what we are told in the United States and I have had so many arguments with nutritionists, dietitians, and doctors who were schooled with old science and books written in the 70’s and 80’s (or even before). Insulin was discovered in 1921 by Frederick Banting but Leptin wasn’t discovered until 1994 by Jeffrey Friedman (S). We’ve had a very long time to study an incomplete system and the understanding of insulin was implemented incorrectly into our mainstream science due to the lack of knowledge of the endocrine system. You have to realize that glucose should be a secondary fuel and should not be our primary fuel as it is currently for 99% of the American population. Historically, we had always consumed a balanced natural diet with very few sugars, if any at all. That was until production techniques and marketing allowed for industry to take over how we got our food (S). Our body was not meant to consume those regularly and the older generations knew it. This issue of a high carb diet did not arise until the 70’s and we have been programmed to this false paradigm through advertising and lobbying (see Ancel Keys’ flawed science and how the food pyramid was constructed as our dietary guidelines (S)). Just look around you! The amount of disease and sickness that surrounds us in America is overwhelming and the medical INDUSTRY is reaping the benefits from cycling you in and out and only “patching” you up. Read this to see just how much money they are making. Overall I have lost 120lbs. I lost that in about 9 months, all with my doctor following my progress and hearing me out about what I was doing. I was consuming 3500-5000 calories a day IN FAT and PROTEIN (mostly fat though). But most importantly, I was restricting my carbohydrate intake to under 20g of carbs a day (and many days with zero). There cannot be any sway on this issue, if you eat more than 20g of carbs then your body stops producing ketones and ejects the glucose as fast as possible. This is called “being kicked out of ketosis” (S). This requires discipline, yes; but it becomes so much easier when you see carbs as what they are, a poison. Something that we as humans are not supposed to eat in medium to large quantities (S). I know this is a bold statement but I want to make clear that I am not talking about complex carbohydrates. I am mainly speaking of sugar and also added sugars like: High Fructose Corn Syrup, enriched breads, rice, wheat and anything that is over 20 grams of carbs that does not include fiber. Fiber is what makes a carbohydrate complex. Eating a sweet potato or having broccoli is considered “slow-carb” in the ketogenic world. A “slow-carb” has fiber that blunts the insulin spike that is associated with carbohydrates. There are healthy functions of insulin. It is still a hormone that balances weight, but we were never intended to spike that insulin 6 times a day. You can stay in ketosis and have these complex carbs without being kicked out, but it’s the sugars and the enriched products that push those levels too high. Type 2 Diabetes (to name 1 of many ailments), has been thrust on this world by the behavior of the sugar, the wheat, and the corn lobbies, to name a few. 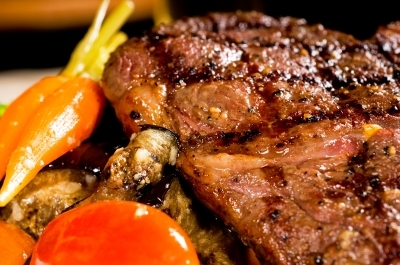 We evolved our large brains over the past 150,000 years through a hunter/gatherer diet. Animal fat is the densest caloric material we can find and having that gave our cells the ability to be strong, fend off disease, and propagate a strong human with an ever-larger brain. This diet allowed me to rapidly regenerate my body and correct all the issues that I’ve spoken of. I know it’s controversial and my story is very revealing of a lot of private information, but I feel that it’s worth telling in order to show the dedication I have to this topic and to show that I have put in the work and received the results. Now I just want to share it with as many people as possible. I can also happily say that I’ve been present for some very large transformations from my family, who took the time to hear me out and explain what I know. My results piqued their interest and both my parents who were Type 2 diabetics are completely cured from that affliction (among many other issues like pervasive heart burn and sleep apnea). Their doctors took them off Metformin and declared that their blood sugar levels are within healthy ranges. The doctors were astonished and said, “Whatever you’re doing; keep it up!” They also both have lost 30-45lbs each and they are the happiest that I’ve ever seen them in my life. The first thing that a person has to do is recognize that something is not right with the way things are being presented; and recognize that what is happening in their life is not right. Weight gain is a symptom of a larger problem. It’s a distortion of the human body that is entirely created as a response to improper diet; not because you’ve ‘eaten too much fat.’ Fat is the healthiest substance you can put in your body (not trans fats or other industrially separated fats of course). 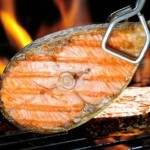 I’m talking about the healthy fats that you are beginning to hear about nowadays (S). I really hope that the information in this article isn’t too much. I feel that if the mechanisms of weight loss and gain are understood, then the discipline just comes naturally with the new paradigm. Remove the poison and return to your perfect and natural state. Look at every other creature in this world, how many obese deer do you see or type 2 diabetic tigers? This would only occur if there was a human hand involved. It’s not something wrong with us or different about us, we still all have the same organs. What’s wrong is the paradigm. We have an incorrect understanding of how our body works and the misinformation that brought us here has to be uprooted and we need to form a different understanding. A Ketogenic diet is as simple as to just stop eating carbohydrates and to start eating as much fat as you can. This may be hard for some people because of all the junk we’ve been sold over the years but if you need to make changes in your life concerning your health, I cannot recommend a more effective path. Not a picture of the meal described. 1 Cup portobello mushrooms sauteed in butter. I usually eat a meal like this mid way through my day and maybe snack on some pepperoni and cream cheese or something like that later. More recently (the past year), I’ve been doing 24 hour intermittent fasting where I do not go into my ‘feeding state’ until as late as I can…usually around 10pm. Being in a fasted state provides great benefits, but that is another issue I’ll be happy to discuss in future articles. Also, fasting isn’t necessarily recommended to people just starting out anyways. My desserts were usually strawberries or blueberries with whipped cream made with splenda (which in my assessment is a fine sugar alternative, although not optimal). I personally believe that Stevia is a far superior sugar replacement, but that is another article in itself. There is a lot of conflicting information out there concerning if certain non-sugar sweeteners may raise insulin levels. My rule is, if it doesn’t spike my insulin then I’m fine with it and I’ve seen first hand that splenda (sucrolose) and stevia reign supreme. I try to stay away from aspartame but I will have a diet soda here and there. Another great dessert that I love to make (hell, I even eat it as a meal sometimes) is chunky peanut butter melted down with 90% cocoa, mixed with a decent amount of stevia. This can be put onto wax paper and then in the fridge for amazing candies, or you can toss some almonds or macadamia nuts in and grab a spoon. I do the latter, it’s a very quick setup. Keep peanut butter on stock! It is relatively carby but the fats that you obtain from eating it are a fair trade off, just don’t go overboard! I’ve been kicked out of ketosis by eating a jar of peanut butter. I sometimes like to add some coconut oil (or MCT Oil) in the mix to get some more fat out of it! Plenty of options are out there for sugar/carb free living that allow you to still enjoy sweets. But to start in the direction of ketosis, it’s as simple as removing sugar and carbs from your diet. Push through any “keto flu” symptoms you may have and enjoy the rewards of using fat as your fuel as (I believe) was intended. With mentioning that, I think it’s also appropriate to explain what the “Keto Flu” is because you may see those words while doing your research. The “Keto Flu” is basically cold-like symptoms and lethargy as your body switches its fuel system from glucose to ketones. Usually 3 days of observable lethargy is the worst you’ll feel. The good news is that not everyone goes through this process. If you do, it’s wise to supplement a large amount of magnesium and potassium (honestly, you should do that after the induction phase as well. A ketogenic diet requires more electrolytes than the Standard American Diet). I love making bone broth to supplement these electrolytes. I’ll buy a rotisserie chicken, eat it as my meal, then put all the bones in the pot. Then I fill it with water, bring it to a boil, and simmer it for 24 hours. Usually I’ll add a couple bullion cubes and there you have it…a healthy version of chicken stock! All the potassium, magnesium, calcium etc that the chicken had in it’s bones will now be yours for the drinkin’. All I want to do in this world is share what I know and help as many people as I can. This topic is certainly something you should do your own research on, but there are a ton of people who have come before me that have condensed this information in an effective way. The book by Gary Taubes called “Good Calorie / Bad Calorie” really opened my eyes along with the Robert Lustig’s lecture on how sugar is treated in the body. Those two resources will help you on your journey! I’m now expanding my platform and am looking to help anyone grow and become the person they should be, so please feel free to contact me! I am now a big fan of ketosis and low carb/ low sugar. What drew me towards ketosis wasn’t the weight loss aspect. No, it was the claims of “consistent energy.” It was the claims of increased focus and better sleep. All of which I have experienced myself. Not only do I feel like my energy levels are now stabilized (No more dips in my energy levels since I’m not spiking insulin), but my sleep has been much better. I wouldn’t say the change in my energy or sleep was dramatic, but it is definitely noticeable. But keep in mind, I’ve been trying to keep my body in peak condition my whole life. So for me, noticing any positive change at all really tells me that ketones are a force to be reckoned with. Thanks for the amazing story Cathexis! You guys be sure to check out his website and show him some love. If you didn’t know this, then I suggest you go back and try reading at a slower pace. This article is going to focus on something called Mitochondrial Biogenesis. Mitochondrial Biogenesis is the growth or division of pre-existing mitochondria(S). It causes the mitochondria to either grow in mass or increase in numbers. Peroxisome proliferator-activated receptor-γ coactivator (PGC-1α) – say that 5 times fast – is a part of the family of transcription coactivators, where it plays a pivotal role in the regulation of cellular energy metabolism(S). It is deeply involved in the Circadian Rhythm. Most of us know that the Circadian Rhythm is our bodies 24 hour sleep and wake cycle, but there is much more to it than that. PGC-1α is responsible for stimulating the expression of “clock genes(S).” Clock genes are components of the circadian clock responsible for generating oscillations of gene expression(S). This means that problems in the Circadian Rhythm can lead to Metabolic problems, and Metabolic problems can lead to Circadian Rhythm problems(S). Upon activation, PGC-1α also induces the transcription of NRF-1 and NRF-2(S). NRF-2 is specifically known for its role in increasing the genes that are responsible for increasing our bodies own antioxidant system. The same factor (PGC-1α) that drives mitochondrial biogenesis also increases our bodies’ ability to control ROS (NRF-2)(S). Side note: You can increase mitochondria without activating the PGC-1α pathway. However, in mice that had this pathway silenced – the mitochondria showed a reduced resilience to stressful conditions. In other words, mitochondria are stronger with PGC-1α. Ok, now for the fun part!. 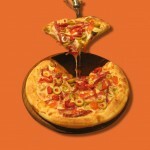 Food – It does the body good. 1) DIET : Ok, so food isn’t exactly free, but you have to eat anyway – so it’s not exactly an added expense like adding a supplement would be… The food you choose to eat can be directly responsible for stimulating PGC-1α and mitochondrial biogenesis. However, the opposite is also true. The food you choose to eat can be directly responsible for stifling PGC-1α and mitochondrial biogenesis. A. Ketones/Ketosis/Ketogenic Diet – Basically a ketogenic diet is one that restricts carbohydrates and forces your body to use fat-driven ketones as energy instead of carb-driven glucose. The Ketogenic Diet is shown to increase mitochondrial respiration (energy production), increase the NRF-2 antioxidant pathway, decrease reactive oxygen species, decrease anxiety, decrease markers of brain atrophy, be neuroprotective, increase glutathione(the master antioxidant), decrease inflammation, upregulate stress response genes, and increase mitochondrial biogenesis(though maybe not through PGC-1α)(S)(S)(S). If you don’t feel like switching up your diet, evidence suggests that you can still receive the benefits of ketosis through supplementing with MCT Oil, Butyrate, or something like KetoForce (S). B. Resistant Starch – I’ve discussed Resistant Starch in my “Gut Health” article, but I did not mention that Resistant Starch can increase mitochondrial biogenesis and the expression of PGC-1α! When your gut bacteria digest the resistant starch, they produce Short Chain Fatty Acids(SCFA) and Medium Chain Fatty Acids(MCFA or MCT). Mitochondria gobble these fats up like candy. This SCFA and MCFA consumption increases mitochondrial respiratory capacity and mitochondria biogenesis(S). In this rat study, they showed that PGC-1α expression was increased, yet they weren’t sure of the exact mechanism(S). No, I’m not talking about eating a tiger’s testicles…I’m talking about Tiger Nuts. “Tiger nuts” are not actually nuts at all, they are a tuber and they are really high in resistant starch. I am a HUGE fan of tiger nuts. Hey, at least I have the balls to say it 😉 ! They have a unique taste that kind of reminds me of Corn Pops cereal. Nope, can’t eat any of this on a fast! 2) FASTING – Fasting, as well as “caloric restriction,” triggers your metabolic energy sensor which in turn robustly induces PGC-1α(S)! Lack of food is a situation that requires huge energy from the body. When consuming little to no food, your liver sends a nutrient-signal response to activate SIRT1. SIRT1 then activates PGC-1α and increases liver gluconeogenesis (the production of glucose from non-carbohydrate sources) and fatty acid oxidative metabolism (burning of fat for fuel)(S)(S). Intermittent fasting is great for fat loss, and works very well on a ketogenic diet. Combine all of these and you will be well on your way to superior mitochondria. The easiest way to Intermittently Fast is to not eat food for 16 hrs after your last meal. So if your last meal is at 8pm, then you will eat “breakfast” at 12pm the next day. Boom. You can still bulk while practicing intermittent fasting, you just have to make sure you consume enough calories during the feeding window. Eggxactly what you needed to hear! 3) LOSING WEIGHT – The relationship between excess weight and mitochondrial function is clear-cut: Obesity results in poor mitochondrial function, which results in metabolic dysfunction(diabetes, cardiovascular issues, inflammation, etc)(S)! So clean up your diet -read “Eat for Life…” – or try a Ketogenic Diet (which will be discussed early next year). 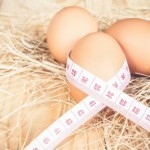 Do whatever it takes to lose that extra weight and reclaim your health! 4) EXERCISE – It is well established that exercise increases mitochondrial biogenesis(S). Exercise of any kind is shown to boost mitochondrial biogenesis and also PGC-1α. Exercise activates something called AMPK – an energy sensor responsible for increased glucose uptake, fatty acid oxidation, and mitochondrial biogenesis. When AMPK is activated it then induces the expression of PGC-1α. We all know what happens next…HARDER, BETTER, FASTER, STRONGER MITOCHONDRIA(S)! Exercise those thighs and get your mitochondria moving to a new groove. 5) COLD EXPOSURE – PGC-1α is STRONGLY induced by cold exposure(S)! This form of adaptive thermogenesis dissipates energy as heat! This keeps your body warm when its cold outside. 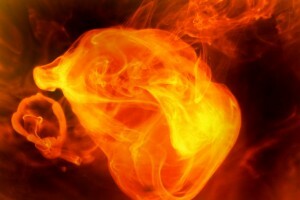 Brown Aditpose Tissue (BAT) and Muscle Tissue are the tissues responsible for this thermogenic response. There are two types of adipose(fat) tissues. One is White Adipose Tissue(WAT) and the other is Brown Adipose Tissue(BAT). The primary function of WAT is energy storage, white the primary function of BAT is energy dissipation – mostly in the form of heat. “In fact, BAT produces ∼60% of the heat generated by nonshivering, adaptive thermogenesis.” Humans typically have more WAT than BAT. Having a higher BAT to WAT ratio should make someone more metabolically active. This is why increasing BAT is being pursued as a method to prevent obesity. So when someone tells you to “chill out” you should thank them, because they really just want you to optimize your BAT to WAT ratio… Duh. The way I incorporate this is by setting the water as cold as I can at the end of my shower. Then, I tough it out for at least 30 seconds, sometimes longer than a minute. 6) BREATH HOLDING – This one I created based off of the idea that holding your breath can create a hypoxic condition in the body. Hypoxia – a condition in which the body or a region of the body is deprived of adequate oxygen supply(S). Hypoxic conditions are shown to increase PGC-1α through activation of AMPK(S)(S). 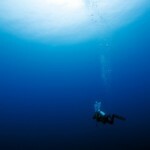 Different methods for breath holding and hypoxic training exist. This one HERE is catered to swimmers. Experiment at your own risk. 1) High Altitude Mask – The Elevation 2.0 Training Mask works under the same principle as breath holding does…it causes a hypoxic state in the body. 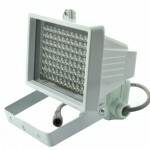 2) LLLT – Near-infrared Lights, such as this 96LED IR Security Camera, are shown to improve mitochondrial biogenesis(S)! “Transcranial low-level light/laser therapy (LLLT) has emerged as an intervention with potential to modulate neuroprotective and cognitive functions. The light I mention above is specified to a wavelength 850nm, which is acceptable. Our mitochondria contain the photoacceptor –photoacceptors convert light(photons) into signals that stimulate biological processes – cytochrome oxidase whose electrons become excited when it accepts light in the 600-1,100 nm range. This causes the electron to jump from a low energy state to a high-energy state where it then works it magic(S). LLLT “acts as an exogenous source of highly energized electrons to the respiratory chain. LLLT works on any part of the body, but much of whats being discussed here is for cognitive mitochondrial enhancement. 1. Remove glass cover and place LEDs directly on skin. They get a little warm, but nothing to worry about. 3. Start with 30 seconds per location. You can always increase. Minimum effective dosing is VERY important with LLLT. 5. 850nm, 96 LED, 9 individual “regions” on sides, top, and back of head AND 850nm, 48 LED, 5 individual spots on forehead along hairline (roughly). LLLT is an exciting biohack with lots of studies that back it’s effectiveness. There is a lot to cover with LLLT so I will likely have an article discussing it in the future. 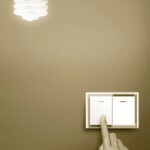 The Vielight-Neuro is top dog in the LLLT-derived cognitive enhancement field. Hopefully the price drops and becomes more accessible to us peasants. 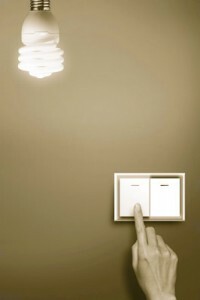 Light is the future and our future is Bright! 1) Methylene Blue – Methylene Blue is also very interesting. Of course it stimulates mitochondrial biogenesis…or else I wouldn’t have put it in here 😛 ! Methylene Blue(MB) activates SIRT1 and AMPK which activates PGC-1α and results in an increase in mitochondrial biogenesis(S)(S). “MB has high bioavailability to the mitochondria! MB is an FDA-approved drug routinely prescribed as an antidote for the treatment of poison-induced methemoglobinemia(Wiki) due to its powerful antioxidant properties. Low doses are recommended, as high doses can have the complete opposite effect. I consider 4 mg/kg to be pretty high. In fact, I have had a lot of success with using a 0.5 mg/kg dose. I currently weight 165 lbs which is about 75 kg. So, 0.5 x 75 = 37.5 mg dose. To dose this low, you will need an accurate scale. I use the GEMINI-20. Cheap, effective, and classy. Warning – MB is great for mitochondria, yet it is also great for STAINING. It will make your urine a nice blue color. It’s intensity is directly related to how much you consumed and how many consecutive days you took it. Therefore, I only recommend using MB as a mitochondrial enhancer at the lowest effect dose 2-3 times a week with at least a day break in between uses. 2) Baking Soda – Baking soda, also known as Sodium Bicarbonate, can increase the expression of PGC-1α after exercise(S)! In This Study, baking soda increased the muscle glycogen utilization and blood lactate accumulation significantly more than the placebo group. The baking soda fed group displayed higher levels of PGC-1α. 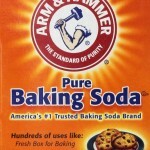 The exact mechanism that baking soda works through isn’t completely known. All that really matters to me is that it works, and it is cheap. So why not utilize it’s power? The dose of baking soda used in the first study was quite high(0.4g/kg = 30 grams for me, YIKES!). That’s high enough to make me vomit. Luckily the blogger over at Suppversity discovered you can take chronic (daily) low doses and achieve a similar effect. This low-dosing range is a much better – 0.133g/kg. So for me that is 0.133 x 75 = 10 grams of Baking soda everyday. 10 Grams = 2 Teaspoons…Not too bad. 1 teaspoon before my workout, 1 teaspoon after my workout, and 1 for my homies. 3) Curcumin – The active component of Turmeric, Curcumin, is potent spice that is also shown to increase PGC-1α levels(S)! The best form of curcumin is a topic of hot debate. However, I always use one that is high potency(>95% curcuminoids) and uses Piperine. After adding piperine to the mix, bioavailability increases 200%(S). 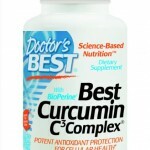 Doctor’s Best Curcumin fits the bill. It also functions as an antioxidant AND increases the antioxidant NRF-2 pathway(S)! It also has dual functions in fat cells: first, it destroys White Adipose Tissue by initiating apoptosis. Second, it increases the expression of Brown Adipose Tissue(S)! This is pretty remarkable and would work synergistically with Cold exposure as explained above. I learned about these cunning curcumin cheats over at Ben Greenfield‘s blog. Curcumin is another must-have supplement! 4) Fish Oil & Krill Oil – Fish Oil, and now Krill Oil, are well-known for their many benefits. One of which – of course – includes increasing mitochondrial biogenesis(S)(S)(S). 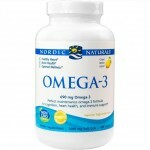 Nordic Brand Fish Oil and Viva Labs Krill Oil are good brands to test out the benefits of omega-3’s. Omega-3 Fatty Acids are shown to beneficially alter the mitochondrial membrane composition and respiration kinetics. In This Study, fish oil consumption was shown to rapidly displace omega-6 fatty acids in the phospholipid bilayer and improve the emission of ROS from inside the cell, thus preventing oxidative damage. Aside from boosting your mitochondrial function, omega-3’s have a a slew of health benefits. Google it. Omega-3’s are another must-have supplement – Alternatively, you could eat fish like sardines(to avoid mercury) and salmon(if you like mercury)…That would work too. 5) Nitric Oxide – My favorite, Nitric Oxide, is also shown to increase mitochondrial biogenesis(S)! I did not know this when I wrote my article “5 Reasons Nitric Oxide is Important” so let’s make that 6 reasons! The way nitric oxide works to increase mitochondrial biogenesis is by acting as a key messenger in cells and stimulating the PGC-1α pathway(S)(S)(S). You should be trying to boost your nitric oxide levels anyways though, so increasing mitochondria should be a welcome side effect! Remember to look at my article “7 Ways to Boost Nitric Oxide Naturally” for a refresher on how to boost NO. 6) Nicotinamide Riboside – This is a cool supplement and one of the few that actually gave me noticeable effects. It also increases mitochondrial biogensis(S). Niagen Brand Nicotinamide Riboside is the brand I used. Nicotinamide Riboside works its magic by converting to NAD+ in the body. NAD+ is shown to directly increase sirtuin(SIRT) activity(S). “NAD+plays a key role in regulating metabolism and circadian rhythm through sirtuins. NAD+becomes limiting during aging, affecting sirtuin’s activities. NAD+likely declines due to an NAD +biosynthesis defect and increased depletion. I know Nicotinamide Riboside sounds pretty exotic, but it is actually just a variant of regular old vitamin b3. In fact, Vitamin B3 – otherwise known as niacin – can also increase NAD+ levels(S). However, Nicotinamide Riboside raises NAD+ levels to a higher level than any other available substance. 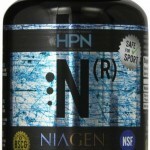 Whether you choose the JET (Niagen) or the BICYCLE (Niacin), it is definitely worth optimizing NAD+. 7) Astaxanthin – Now for the grand finale, I am proud to present to you ASTAXANTHIN! This is my new favorite supplement. Astaxanthin is a carotenoid that is naturally found in shrimp, salmon, algae, lobster, crab, flamingos, krill, and more! “The ROS-scavenging capacity is 6000 times that of Vitamin C, 800 times that of coenzyme Q10, 550 times that of Vitamin E, 200 times that of polyphenols, 150 times that of anthocyanins, and 75 times that of α-Lipoic acid” (O_O) Woah. “Plays a role in preventing atherosclerosis(wiki) by raising good cholesterol (HDL) while lowering bad cholesterol (LDL) and by reducing the oxidation of apolipoprotein – which are responsible for binding and transporting fats. Maintains eye and central nervous system health. It is one of the few antioxidants that can enter the retina and prevent oxidative damage! It is also prevent and treat macular degeneration. Is a potent anti-inflammatory and pain-reliever. It does this by inhibiting cyclooxygenase 2 (COX2) enzyme activities, which are related with many diseases, such as osteoarthritis, rheumatoid arthritis, dysmenorrhea, and acute pain. Affects multiple cytokines, like nitric oxide, interleukin 1-β, prostaglandin E2, C-Reactive Protein (CRP), NF-κB, and TNFα. Activates T-cell and inhibits autoimmune reactions. Is synergistic with water-soluble antioxidants. 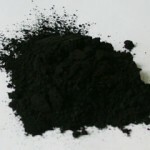 “When combining lipid-soluble antioxidants (such as astaxanthin) with water-soluble ones (such as ascorbic acid) in lower concentrations, higher efficiency on ROS removal may be expected. It prevents cancer initiation by alleviating DNA oxidative-damage. Then it promotes early check and elimination of cells undergoing malignant transformation by activating immune surveillance. Next it prevents cancer cell growth in cells by boosting immune detection. Then it inhibits rapid tumor cell growth by blocking tumor cell reproductive cycle and inducing tumor cell apoptosis. Finally it prevents tumor cell spreading by decreasing tumor cell’s tissue-melting proteins. It also increases mitochondria biogenesis through – can you guess it?? ?- PGC-1α(S)(S)! What else is Astaxanthin capable of?? Do you remember, in “Mitochondria – Fix your ATP, Fix your Life,” when I promised that in Part II, which is this article, I would show you guys a key antioxidant that is able to mitigate sun exposure and fit in quite nicely with enhancing mitochondria? Believe it or not, this is just the tip of the iceberg folks. You now have many options to increase your Mitochondrial Biogenesis! Combine a few, or combine them all! Just be sure to DO SOMETHING! I hope you guys enjoyed it. If you have any questions be sure to leave a comment below. P.S. I alluded to Austin Powers 3 times in this article. Let me know if you caught all of them! 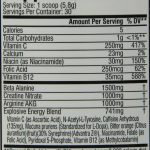 Is Cellucor C4 Preworkout Safe? Jackie Mills on Powerful Pre-Workout Drink, Outperform the Rest.